It was such fun to take part in the amazing transformation of this 90's era kitchen. 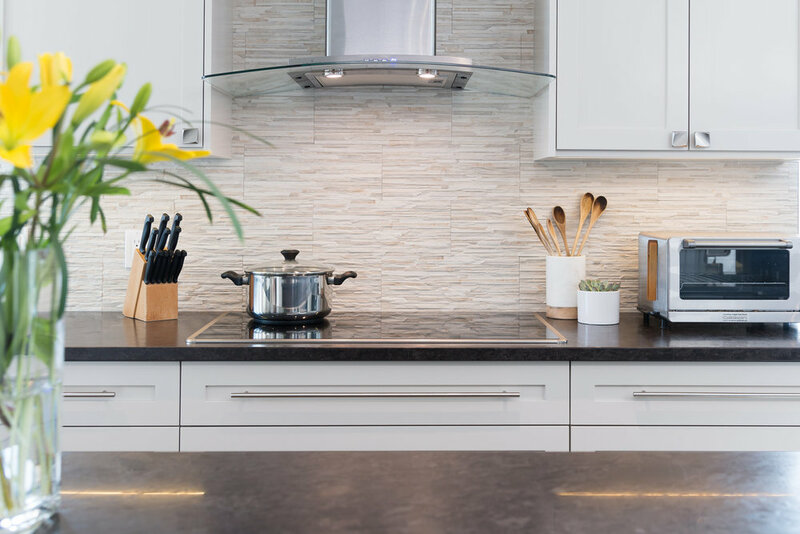 Our clients, a busy family of five plus sweet pooch, were after a modern and classic look for their dated and dysfunctional kitchen. 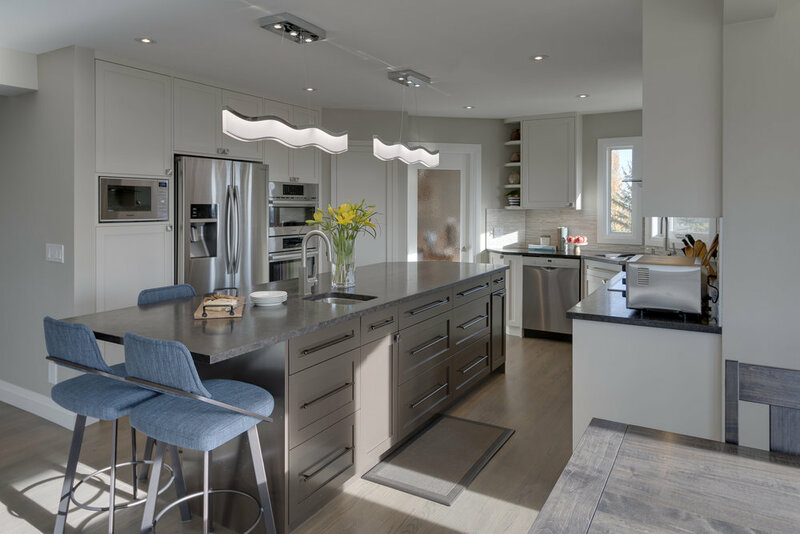 A re-invention of the floor plan and the introduction of timeless shaker cabinetry, honed counters and a stunning dry stack backsplash brought this space bang up to date.